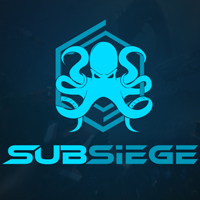 Subsiege is an original blend of a real-time strategy and a MOBA game developed by the German studio Icebird. The game takes place in the second part of the 21st century, when almost all of the Earth's natural resources are depleted. Subsiege for PC is a strategy game that combines the classic RTS mechanics with MOBA games elements. It was developed by a German studio, Icebird, and published by Headup Games. The game takes place in the near future, in the second part of the 21st century, when humanity used almost all of the Earth’s natural resources. The last place where they can be found are the depths of seas. However, there is not enough of them for everyone, which leads to a full-scale underwater war. Subsiege for PC blends gameplay mechanics from two different game genres. During skirmishes, players build resource-gathering structures and lead a group of combat units to fight the enemy. At the same time, each ship is like a character from a MOBA game. It has its own munitions, unique set of special abilities, and a separate skill tree. Before we start, we chose a set of ships from the available ones. We will be able to build only those we have chosen as we play. The group we lead is made of five to ten ships in order to give us enough time to use each unit’s abilities. Gameplay also has some survival elements. The bottom of the ocean is full of dangerous objects, like toxic corals or sea monsters. What makes matters worse is that each ship has a limited supply of oxygen. The only way to replenish that supply is to gather the oxygen tanks from the destroyed enemy ships before we run out of our own air. Subsiege for PC offers a single player campaign, a coop multiplayer, and PvP skirmishes for up to sixteen players. The world where the PvP happens is constantly influenced by the player’s actions as it has a permanent nature. Expectations: 5.9 / 10 calculated out of 7 players' votes.